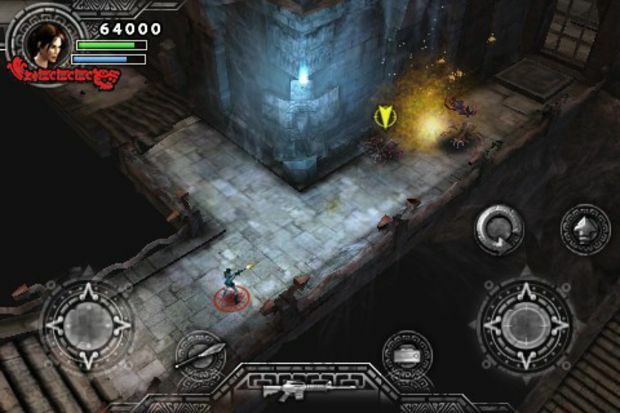 Without much notice, Crystal Dynamics has released an iDevice version of its downloadable title, Lara Croft and the Guardian of Light. Two versions of the game are available -- one for iPhone and iPod Touch for $6.99, and another $9.99 for iPad so it looks all pretty on the bigger display. The game looks to be about the same experience as the title that hit PlayStation 3, Xbox 360, and PC earlier this year, including cooperative play. That's a good thing -- I absolutely loved it.